Remember when email marketing was considered a horrible way to send and gather information about a business? Remember when email marketing simply was considered as sending online newsletters? Times have changed, and email marketing is a must for a business or corporation to excel. A strong email marketing campaign, in addition to being a reliable source of revenue, will help a business generate repeat customers and drive online customers to visit company-related offline locations. 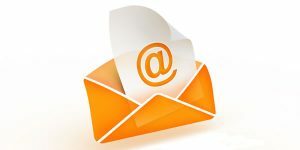 Email marketing is a cost-effective marketing tool that is only becoming more and more popular. Whether you have an online-only business or are trying to boost the revenue of your local corner store, e-mail marketing will be beneficial. Our Dallas Internet marketing specialists will make sure your company gets an edge in a very competitive market with the use of e-mail marketing. Call our Dallas TX online marketing company today for more information.